You might not decide the hand you’re dealt, but you do choose how you play your cards. 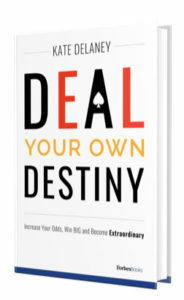 Pre-order a copy of Deal Your Own Destiny today to start moving towards the life you’ve been dreaming of today. Become the Dealer. 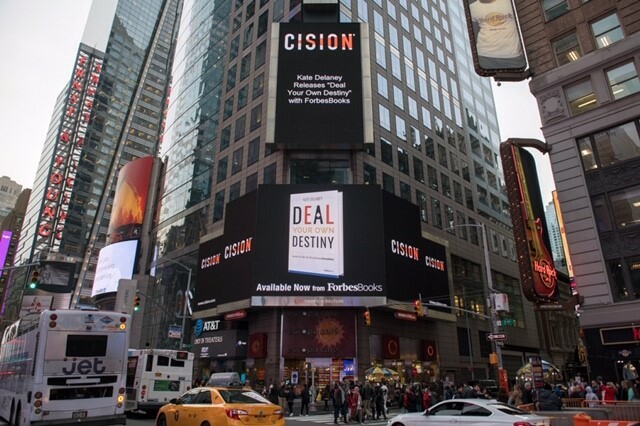 In this quick and entertaining read, Kate Delaney walks you through the decisions that were paramount to her success, and coaches you on making bold movies that will forever alter the course of your destiny. filled with valuable lessons, including finding the right balance between work and life and dedicating yourself to your path, Deal Your Own Destiny is an essential read for anyone seeking to make life or career changing decisions.